CNC-machined 6061-T6 aluminum alloy for high-impact durability and resistance to corrosion under all conditions. Mid-arbor design strikes a perfect balance between backing capacity and rapid line pickup. Teflon disc and stainless steel drag system with one-way clutch bearing provides smooth, immediate drag engagement. Finely machined and knurled metal screw caps can loosen the spool and easily change settings from left to right hand retrieval. One revolution drag knob with numbered and detente settings. 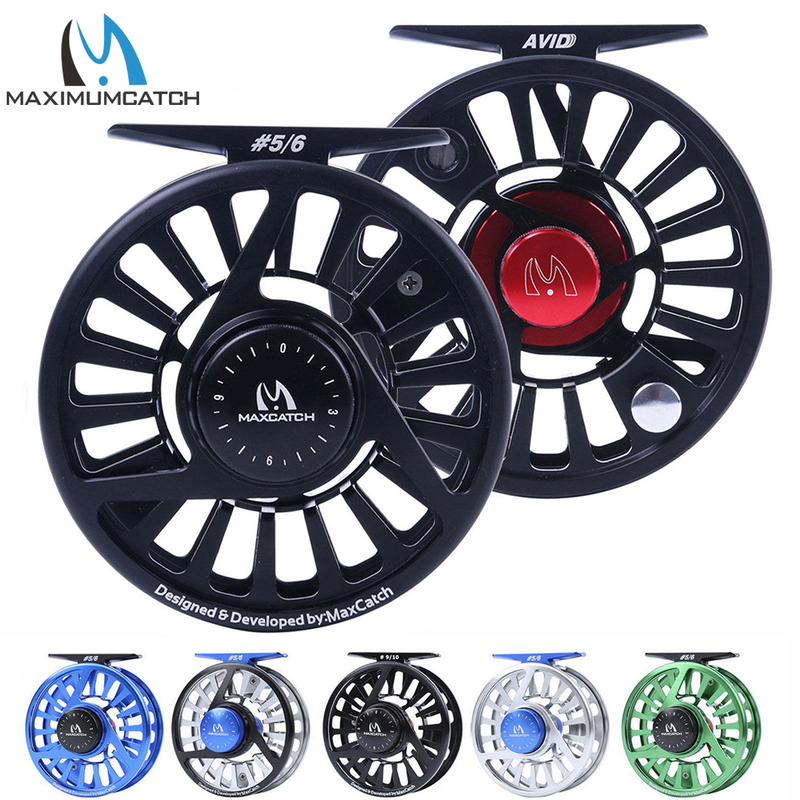 The Avid Fly Reel is machined from solid, bar stock aluminum to precise specifications. The reel is lightweight, strong, and meticulously designed for flawless performance. The Teflon disc and stainless steel drag system provide smooth, immediate drag engagement. This reel is fully functional, perfect for all types of and environments for fly fishing. Works well for trout, grayling, salmon, and other predatory fish. 1.Take off the spool from the fly reel. 2.And you can find drag cap in the center of the fly reel frame. 3.Unscrew the screw on the top of the drag cap. 4.Take off the drag cap and you will find the one-way bearing (stainless frame with white plastic. 5.reverse load it into the drag cover or on the shaft, then you have changed the reel from left hand to right or from right to left hand.